Modeláře maj v TF šikovné. A ten Welouš je lákavej..
Jen nevím jestli budu mít chuť znovu kupovat ten mizernej engine. Asi ne. Nemám důvěru že to vše hladce poběží. Radši se budu placatit v BOX. http://www.warbir...BLOG o letadlech 2. sv. v.
Jestli tam bude možnost letět z nosiče a pár nařáchnutých misí k tomu, tak bych tomu svůj čas dal, o tom žádná. Yes I know... its now December and I missed getting you all an update last month. For this I of course offer sincere apologies. I won't trouble you with the details suffice just to say that real work life has been unexpectedly frantic and family comes before anything else, i.e. getting the balance right is key. Contrary to what some may postulate, I am still alive and no, I didn't drop my phone down the toilet again 😄. Hopefully you watched the video before reading to this point because I didn't want to spoil the surprise content. It is very important to stress that the map textures are all in alpha form at the moment. Neither do they include vegetation, grass, shrubs or rock formations - or dust effects for low flight. This is all work in progress and hopefully you can now see that we have solid foundations - all created with the map tool I mentioned in earlier updates. Don't forget either that we are always looking for new members who are interested in working on map development. Coding skills are not necessary, but Photoshop would be helpful. Please get in touch if you think you could help. Other work that is underway right now is the beta testing of the AI changes that have been made. The team is getting valuable feedback from the testers and this is being used to make further refinements. A big thank-you to all who supported the server test. Changes have now been made and we would like to repeat the exercise - so once again we call on your support to help us stress the server. This time it will be on ATAG Server 1 on Saturday December 8th at 1900 GMT for approximately 1 hour. Season's greetings and a very festive "Yo! Ho! Ho!" to you all. I can't believe we're almost at year end again. Does time accelerate as we get older? It certainly seems that way. There is quite a lot to cover this month so I'll get straight on with it. We've had some new members join us recently. These are predominantly members with mission building skills who will be using their talents to develop single player missions. Other than that the team numbers remains stable and the motivation high. There are things going on (which I can only tell you about in the new year), which have got many of us, myself included, extremely excited. Although things are ramping up it is inevitable that at this time of year there will be a natural pause. On the whole, the project maturity is a little short of where it was predicted to be at this point in time, mainly due to the complexities of the import process and the integration between modeller, coder and skin maker required. We gave you a sneak preview in the last update which illustrated one part of the map and the terrain elevations. Still lots going on - particularly in texture refinement since North Africa has a larger variety of terrain than some may think. Regrettably, from some of the feedback received, a few people didn't understand what we meant by "alpha" texture. To be clear on this, an "alpha" texture by our definition is a first pass texture which represents, roughly, the terrain texture. It has not undergone a detailed refinement (to look good at any altitude) and does not represent the final look. • Ju-88A-4/A-5 including Tropical version. • Ju-88C-1/C-2/C-4/C-6 including Tropical version. Audio work (alpha update) is in test. Visual effects are being further refined. Alpha work has been in test for a while now. Mostly positive feedback but further refinements are necessary. Please Note: The cockpit in the 2nd video has a small error which will be corrected in the final release version. Happy New Year everybody. TFS is pleased to announce that Patch v4.54 is now on Steam. This is a bug fix and enhancements release (no new content) and although it is a patch, it is a full 8GB download. This is because we are also introducing a new release and patch procedure - which we will use to roll out further patches between now and the release of TF 5.0. • Enhanced grass rendering (Fix for the grass popping up). • Fixed parachutes disappearing in the distance. • Fixed steam lobby creation. • Removed “Jump Points“ aka 'Long Grass Traps' on the airfields. Note, this does not fix the spawn points off the airfields, yet (Bugtracker: #562, #774, #867, #869). • Fixed wrong GUI font messing up cursor position and input fields in chat and Full Mission Builder. • Implemented radiator over-pressure valve for aircraft with pressurised radiators. • Water radiator only vents as long as there's a reserve. 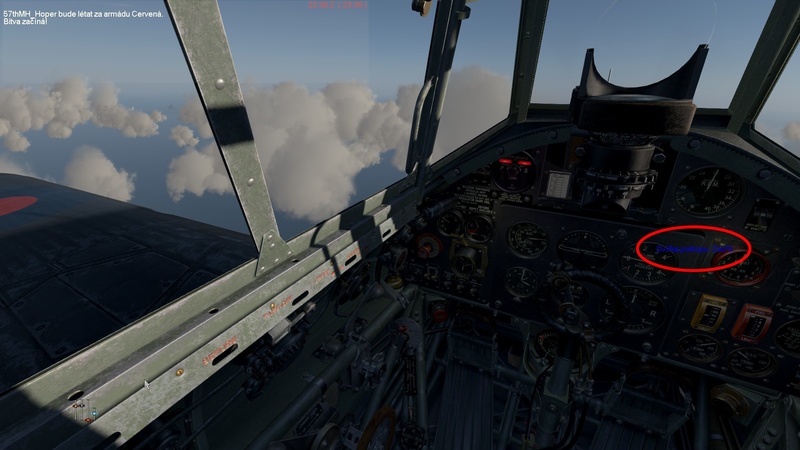 • Various changes in Blenheim MkIV top gunner cabin animations. • Separated sight illumination control for multi-crew aircraft. • Smooth lever/switches cockpit animations for Bf110 versions, Blenheim MkIV, BR.20, Tiger Moth, G.50, He 111, Hurricane Mk1, Ju 87B2, Bf 109 versions, Spitfire versions and Su 26. • JU88-A1 turrets B and C must now be unlocked with the "Toggle Park Position" key (as with other turrets), (Bugtracker: #737). • If markings were switched off (in plane options), they no longer show in tracks (Bugtracker: #1009). 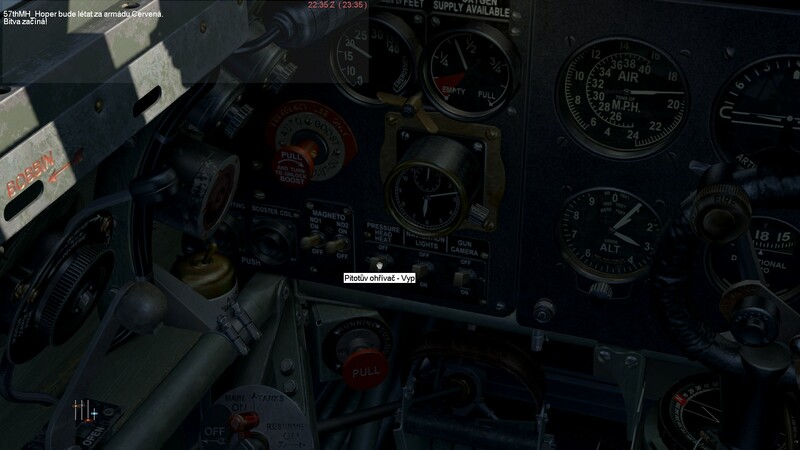 • Hurricane MkI FB bomb switch display error when dropping bombs from external view (Bugtracker: #1021). 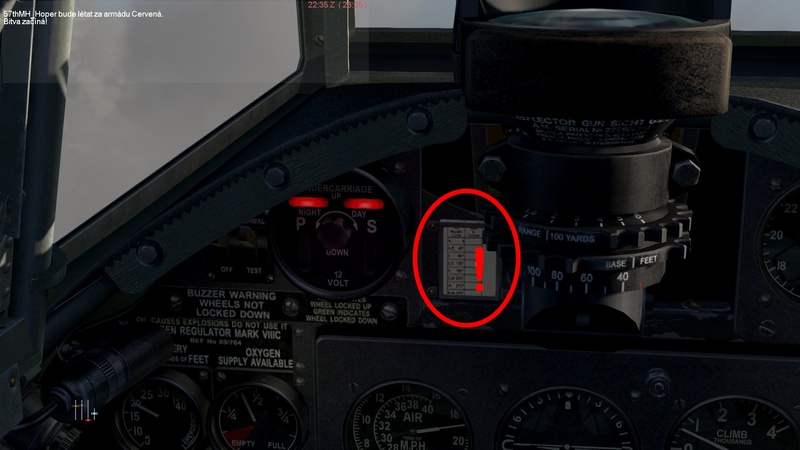 • Bf 109 trim indicator display and range corrected (Bugtracker: #560, #990, #1004). ale ve skutečnosti to je to nejkrutější, co poraženého může potkat. A ty bys tu leteckou nekázeň pak prováděl podle tý tabulky? Tato stránka byla označena jako nebezpečná. Nebezpečná? Hrozí kolize se stromem? Tam nesmíš klikat... příliš agresivní odkaz.